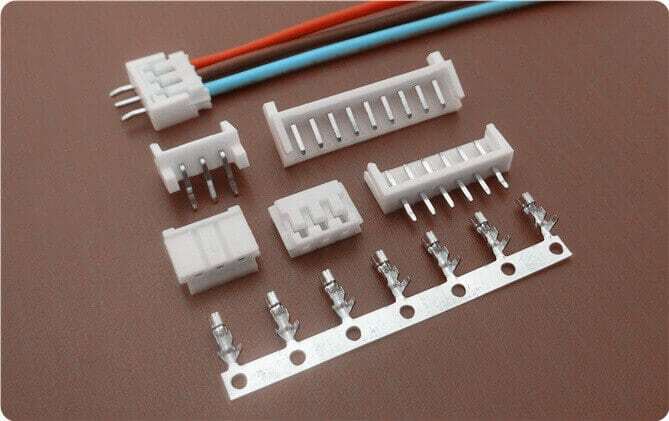 2.5mm pitch wire to board connectors is widely used. JST XH connector and JST XA connector with a secure lock. JST EH connector with the unshrouded header. 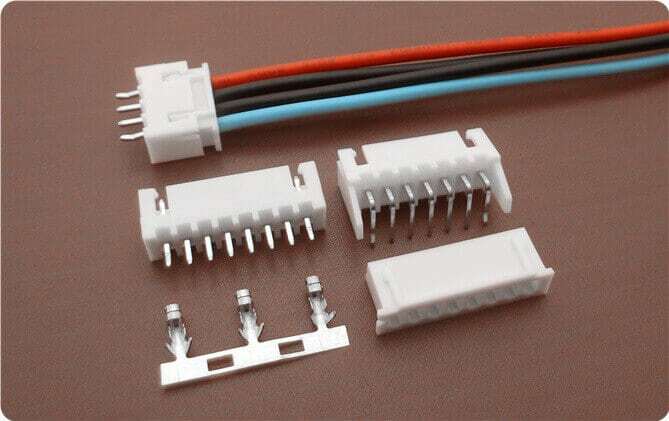 Molex SPOX 2.5mm connector is popular when you use Molex products. Scondar’s line of 2.5mm pitch connectors are manufactured with versatility and made reliably for high vibration environments, with a slightly taller header that is fully shrouded (can be unshrouded depending on electronic requirements), high-pressure housings and application of TPA enhancements. 2.5mm pitch connectors are more ruggedized and robust than other connectors with lower pitch values, but still maintains its properties for low-profile applications for signal and power transmission. 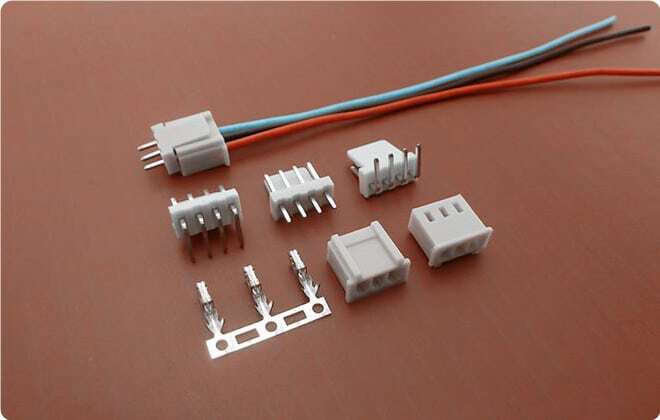 Scondar offers a wide variety of 2.5mm pitch connectors for wire-to-board solutions that fit the specs of branded and well-known electronic connectors such as JST XH, XA, EH, Dupont, JAE IL-G and Molex SPOX connector. Customers may also be guided on wire harness and custom cable assemblies solutions too. The XH connector was based on the leading NH series connectors. This connector is made small for low-profile applications, with a mounting height of 9.8mm and width of 5.75 mm for top entry through hole configuration. Side entry is about 14.3 mm in width with a height of 6.1mm. It is also available for SMT. The bossed pin header is equipped with a box-shaped shroud, a wrapper of thin plastic guide box good for preventing cable connection mishaps and is also good for providing guidance for the mating connector. This connector is equipped with a polarized design and crimp-style lock and is rated at 3A AC/DC accommodating #22-#28 AWG with 2 through 16 positions. 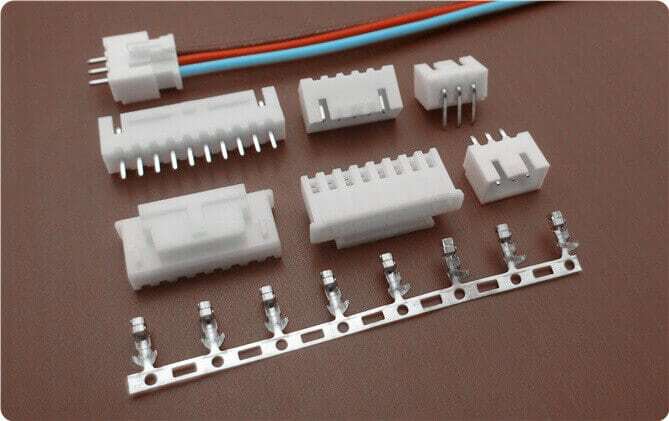 XA is JST’s tough electronic connector for PCB wire-to-board applications equipped with vertical headers, a polarized boss, an insertion guide mechanism, a special material which prevents solder cracks and with a straight friction lock ensuring secure mating and retention. Housings are made from red UL 94V-0, which holds a well-balanced property of high strength, high rigidity, high toughness, abrasion resistance and good surface, making it the best choice for automotive and electrical/electronic industries. XH Series is made compact with only a side-entry height of 8.1mm with a width of 15.1mm. A top-entry configuration consumes about 11.3 by 6.9mm. This connector is available in SMT or through hole, delivering a good 3.0A AC/DC current with 2 through 16 positions, accepting a range of 22 AWG to 28 AWG. 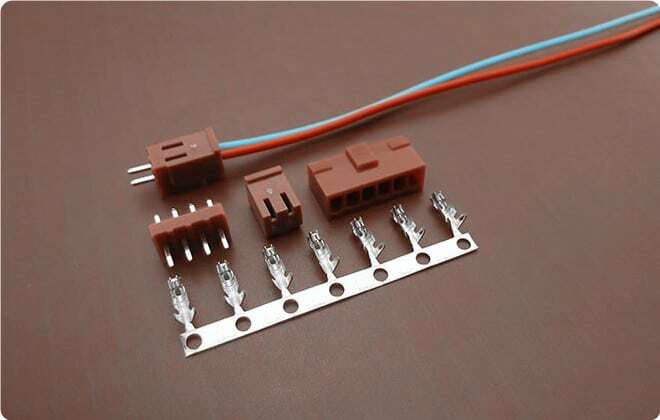 JST EH connectors are top-of-the-line connectors for high-density applications of internal wires to PC boards. 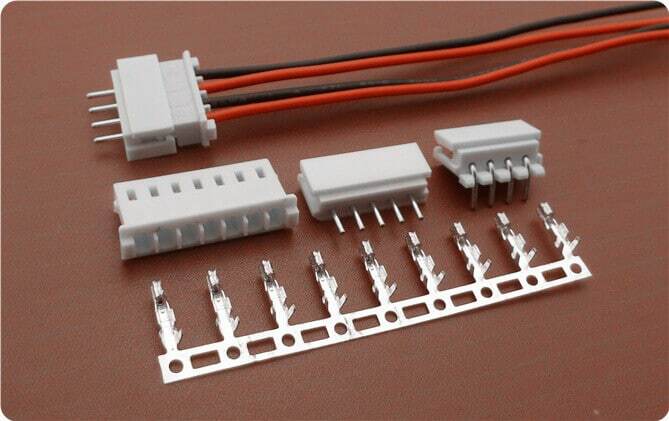 It is designed to be the thinnest and most compact 2.5 mm pitch connector with only a height of 8.1mm and 3.8mm width. with a shrouded header on the radial type. Headers are completely polarized and shrouded (for the radial type). This connector delivers about 3.0A AC/DC current with 2 through 16 positions, accepting a range of 22 AWG to 28 AWG. Dupont 2.5 mm Pitch connector is a low profile connector delivering 3.0A current for AWG #22 to #28, available in 2 to 16 positions suitable for either power transmission systems or chassis wiring. Scondar offers a crimp style lock and a configuration which prevents users from inverted insertion. Dupont 2.5 connector is has a flexible terminal strip and board stackers for stacking. It is available as either with a shrouded or unshrouded header, with configurations for through-hole, SMT or mixed technology and press fit. It is also available for either vertical, perpendicular or coplanar mating and offered in a wide variety of standard options such as polarization, locking clips and alignment pins. The 2.5 mm JST IL-G connector series is a compact component delivering dependable service in requirements for high density connection to printed circuit boards. It is specifically designed for harsh environments which are frequently subjected to heat and vibration such as in heavy equipment vehicles and batteries. Delivering up to a current rating of 3.0 A and 250 V, it is applicable for AWG 22-28. It is enclosed in crimp-style lock and a completely polarized configuration which prevents users from inverted insertion and is available in 2 to 16 positions. The 2.5 mm pitch SPOX is available in 2-16 positions, dissipating 2A for AWG #22 - #30 and has a box-style terminal, polarized design, friction locks, kinked tail options and crimp and IDT housings, meeting a variety of design needs. Scondar’s connector terminals are made of tin-plated, phosphor bronze. The terminals have a thickness range of 0.12mm-0.15mm depending on the 2.5 mm connector type and standard reels are 20,000 pieces per reel.